and 1 shall raise him up on the last day. and 1 live in him. Recall the homely smell of freshly baked bread. We like it. Maybe the day begins well with it. But bread has to be baked with huge heat for the flour. The wheat is crushed. A way of saying that in life there is the joy and the pain; and things can go wrong. Life’s joys and sorrows are a mixture, and much of the best has some of the worst. The bitterest pain can be when the loved one dies, but you would never cancel out the love for the pain. Death is like that – the worst of life leads to the best of eternity. We often find something great in the worst of times. A good result in the exams and you forget the pain of getting them. The best and the worst also in Jesus’ life are in the bread and wine of the Mass, and in the best and worst of the life of the community. The bread can get too much water or bad flour and be ruined. The grapes can be crushed too quickly. The Eucharist recalls the love of God and the cruelty of the human race, all at the one time. Love given and received, but also torture and death at the hands of cruel people. At the Eucharist, we hold up the world’s goodness and joys, along with its depressions and failures, and ask God to be with us in both. 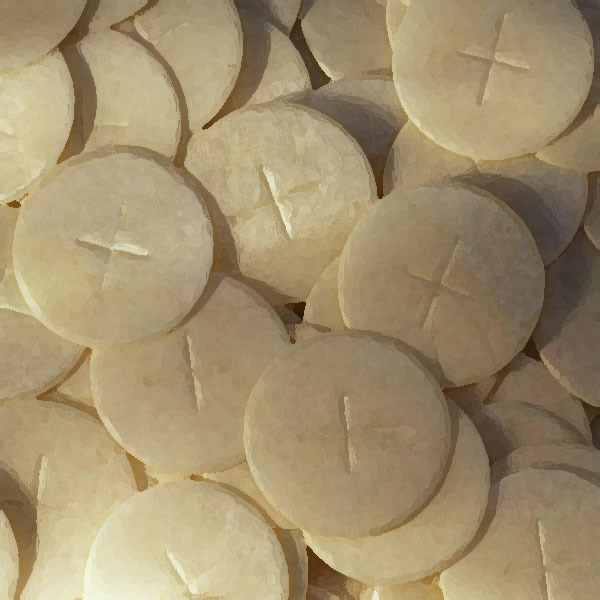 Bread symbolises what is good, wine the pain – this is a way of looking on the Eucharist. Come and eat – come and offer. The best and the worst. The host we now offer….and the host we receive is the full and real Jesus, pain and all. It is truly the bread of life and the cup of salvation. This entry was posted in Gospel of John, Gospel Reflection, Liturgy Resources, Prayer Resources, Scripture, Year B and tagged 20th Sunday Ordinary Time Year B, August 16th 2015, Body and Blood, Bread and Wine, bread from heaven, Bread of Life, Donal Neary SJ, Eucharist, Gospel Reflection, Gospel Reflection for 16th August 2015, Jesus, Jesus Christ, John 6:51-58, Lord Jesus, Love, Mass, sacrifice, Sunday Gospel Reading and Reflection. Please continue to send me a gospel reflection its help me alot. We are happy to hear that the reflections help you. Your feedback encourages us! Thank you.